Aging Eye Problems: Can You Stop Macular Degeneration AMD? To avoid or improve aging eye problems -- should you take eye supplements such as vitamins for eyes, or change your diet? Most of us know that what we eat can affect our waistline, arteries and even our brain, but our eyes? Research about disease prevention and aging eye problems, is showing that eating the right foods can preserve vision as you age! A landmark study in 2001 found that those taking high doses of antioxidants and zinc in supplements reduced the risk of macular degeneration progressing to its advanced form by 25%. Now researchers have found that by boosting antioxidants using HIGHER NUTRITION FOODS foods this risk can be reduced even further by 35%! People are now successfully improving their aging eye problems such as AMD Macular Degeneration, Glaucoma and dissolving their cataracts by using both diet and nutritional supplements such as nutraceuticals. Dutch researchers sought to find out whether the beta carotene, vitamin C and E and zinc in people's NORMAL DAILY FOODS, can prevent age related macular degeneration, AMD in healthy older adults. The researchers followed 4,170 adults, 55 or older for an average of eight years and found that those who ate more vitamin E and zinc in their food were about 10% less likely to develop aging eye problems like Macular Degeneration. They also found that MORE IS BETTER -- that eating more than average of all four nutrients gave people the MOST PROTECTION, with a 35% LESS risk of getting AMD, or Macular Degeneration. Other studies have also found that getting antioxidants from food is MORE effective than from supplements such as vitamin pills. Other studies also show that a regular intake of fish, nuts, fruits and vegetables can help prevent macular degeneration, whereas consuming too much "bad" fats, alcohol and too many baked goods can increase one’s risk. beta carotene is plentiful in bright orange and dark green produce such as carrots, sweet potato, winter squash, peaches, cantaloupe, kale and spinach. Why Foods with Lutein, Zinc - Fish for Eyes? Studies have also found that people who get the most LUTEIN from their diet have a 20% LOWER risk of CATARACT compared to those who consume the least. 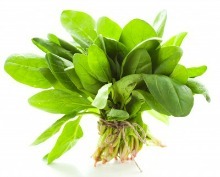 LUTEIN is found mostly in fruits and vegetables, especially leafy greens e.g. kale, Swiss Chard, green peas, broccoli, romaine lettuce, nectarines and oranges. 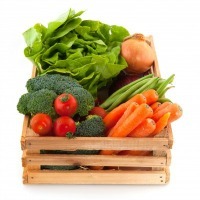 FOOD OR PILLS FOR LUTEIN? 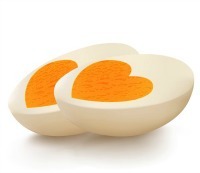 The human body is better able to absorb eye-healthy lutein from EGGS than from other dietary sources, according to a study by the ARS of the U.S. Department of Agriculture. US Federal surveys report the average American consumes only about two mg of lutein daily, but a salad of one egg and one cup of spinach would easily DOUBLE that by providing the equivalent of about four milligrams of lutein. ZINC also guards against Macular Degeneration by nourishing cells in the retina. Zinc is also used by many enzymes important to prevent aging eye problems. Lean meat, poultry, fish, seafood, whole grains, wheat bran, wheat germ, sunflower seeds, egg yolks, legumes and dairy products. Adding FISH to your diet is advisable. An Australian study found that among 3,654 people with macular degeneration, those who ate fish more than once a week were half as likely to have late-stage aging eye problems like macular degeneration. The human eye contains a high proportion of OMEGA-3 fats, especially DHA, which is abundant in fish and seafood. The best sources are salmon, trout, sardines anchovies and herring. Why are researchers and some doctors now saying that Macular Degeneration can be "stopped in its tracks?" Because scientific studies leave little doubt that damage due to OXIDATIVE STRESS causes degeneration of the eyes, and studies also show that this can be stopped. Using antioxidants in fruits and vegetables is key, but there is also another discovery of a supplement that improves the body’s MASTER ANTIOXIDANT that is important for people that are developing eye problems such as Macular Degeneration. What's Best to Stop Damage? Researchers around the world have observed that oxidative stress and oxidative damage results in LOW glutathione GSH levels, a molecule that PROTECTS the eyes. Experiments have been conducted to test glutathione's antioxidant function in the whole body and in the eyes of patients threatened with macular degeneration. S.M. Cohen and his team at the University of California (Davis) found significantly altered glutathione GSH activity in blood samples of macular degeneration patients. Stopping damage with this protective molecule, is, according to researchers, your best bet as a Macular Degeneration treatment. If you have been diagnosed with Macular Degeneration you will want to use a nutraceutical protein that is listed in the U.S. 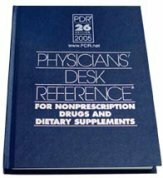 Physician's Desk Reference, the PDR, that has been clinically proven to raise GSH, or glutathione. Reports from people who have been helped with natural macular degeneration treatment. Best supplements for broccoli seed extract and building glutathione, GSH. When it comes to your eyes, although carrots are good for your eyes, they're not as powerful as spinach. Research shows that more protective benefits come from the lutein found in spinach than the beta carotene found in carrots. Why? Lutein and Zeaxanthin are antioxidant carotenoids that are a critical part of the macular pigment that protects the retina from degeneration. Zeaxanthin can be made by the body from Lutein, which acts as “natural sunglasses” in its ability to protect the eyes from radiation damage by acting as an optical filter. The typical North American diet often does not supply adequate amounts of lutein-rich vegetables for proper ocular nutrition to protect aging eyes! 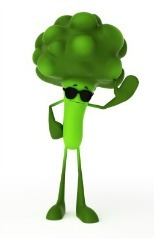 How Broccoli Protects Your Eyes Against UV Damage! 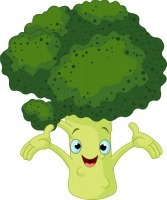 Sulphoraphane, a compound found in broccoli and broccoli sprouts, has been found to protect the retina against aging eye problems caused by oxidative damage. 1) Antioxidants such vitamin C and E, and compounds such as lutein react with free radicals directly, but once they have reacted, they have to be regenerated. These compounds not only protect against eye problems but also every part of the body. They also tend to last longer in the body, and glutathione makes other antioxidants such as vitamin E and C more effective. Research on sulphoraphane is still in the early stages, and doses have not been established to prevent eye problems, although broccoli sprouts have been found to provide 20 times the concentration of sulphoraphane than adult broccoli. On the other hand, the PROTECTIVE ROLE of glutathione is well established. 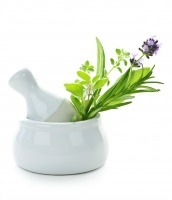 Again, there is no vitamin pill or pill that works to improve glutathione levels. You will want to find out about a PROVEN nutraceutical that's been clinically shown to improve glutathione that can work as a macular degeneration cure. LEAFY GREEN VEGETABLES, such as kale, spinach, collards, Swiss Chard, Romaine Lettuce, Beet and Mustard Greens, Endive, as well as in: Egg yolks, red peppers, corn, beetroots, okra, leeks, celery, Brussels sprouts, Pumpkin and peas. The typical North American diet often does not supply adequate amounts of lutein-rich vegetables to protect against aging eye problems. Although lutein supplements and vitamins can also protect against eye problems, eating more leafy green vegetables and eggs has many more overall health benefits along with preventing eye problems such as Macular Degeneration, cataracts and glaucoma. Why? Adding to the confusion, when antioxidants are taken out of food and put into supplements, there is no guarantee that they will continue to act as antioxidants. HIGH DOSES of the supplement seems to DECREASE the absorption of LUTEIN, the yellow pigment or carotenoid associated with a reduced risk of developing the eye problems that are the leading cause of blindness in the elderly: cataracts and Macular Degeneration. is a more powerful defender against disease when consumed with lycopene-rich foods like tomatoes -- for best protection against aging eye problems. What works if Glutathione Pills Don't? Yes, improving glutathione is the KEY to stopping degeneration. BUT NO, glutathione pills don't work! Even though GLUTATHIONE pills are sold in health food stores, they do not work either. Why? Glutathione is a protein, and it gets digested and does not enter the blood stream and get to the eyes and elsewhere. The body has to make this "Master Antioxidant" in the eyes itself for best protection. How can this be done? To improve your glutathione, you can take a nutraceutical that's been PROVEN!! This provides the nutritional pre-cursors to effectively raise your glutathione, the master antioxidant in your eyes WHERE NEEDED. We hope that you have been inspired to stop aging eye problems with nutrition and all natural health supplements. Certainly, with the threat of losing your sight, it would be worth a 3 month trial of supplements as a natural macular degeneration treatment, and to take proven supplements for cataracts and glaucoma as well. We wish you the best for helping slow down aging eye problems of AMD, Macular Degeneration Treatment, Cataracts and Glaucauma.